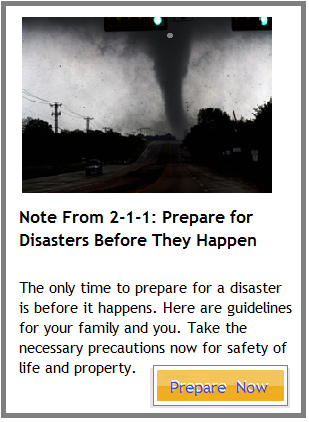 2-1-1 Texas delivers efficient access to the most appropriate sources of help and information. 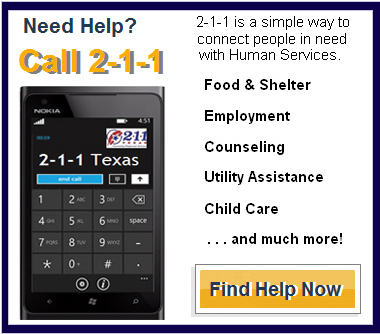 Anywhere in Texas, anyone can call 2-1-1 for free information and referrals to health and human service agencies, nonprofit and faith-based organizations, disaster relief resources, and volunteer opportunities. The 2-1-1 helpline in Dallas maintains a comprehensive community resource database of services providing assistance with health care, employment, educational, legal, housing, counseling, and transportation needs, and much more.